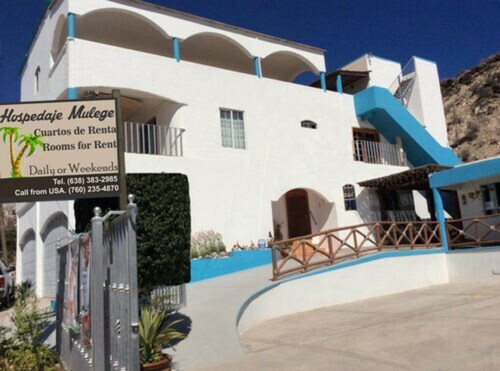 Located in Puerto Penasco, this beachfront hotel is in the city center and within 2 mi (3 km) of Bonita Beach, El Malecon, and La Madre Square. 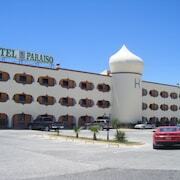 This Puerto Penasco aparthotel is on the beach, 2.3 mi (3.7 km) from La Madre Square, and within 6 mi (10 km) of Old Port and El Malecon. Fisherman's Monument and CEDO are also within 9 mi (15 km). 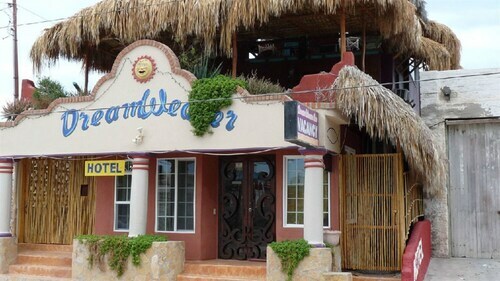 Situated by the sea, this hotel is within 2 mi (3 km) of Bonita Beach, Old Port, and El Malecon. Fisherman's Monument and La Madre Square are also within 2 mi (3 km). Situated by the sea, this hotel is steps from El Malecon and Fisherman's Monument. Old Port and Bonita Beach are also within 3 mi (5 km). 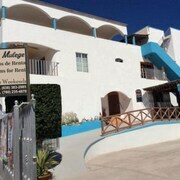 Located in the heart of Puerto Penasco, this hotel is within 1 mi (2 km) of La Madre Square and Bonita Beach. El Malecon is 1.7 mi (2.8 km) away. 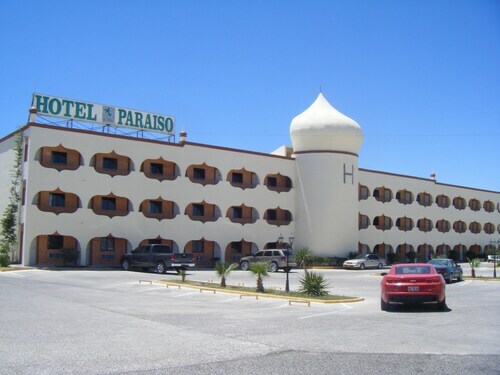 Nestled on the beach, this Puerto Penasco hotel is 0.1 mi (0.1 km) from Bonita Beach and 2.3 mi (3.7 km) from El Malecon. La Madre Square and Old Port are also within 3 mi (5 km). 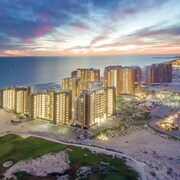 Nestled on the beach, this Puerto Penasco resort is 0.1 mi (0.1 km) from Bonita Beach and 2.4 mi (3.9 km) from La Madre Square. El Malecon and Old Port are also within 6 mi (10 km). 5 Star Beachfront House. Modern, Quiet, Impeccable. All Sandy Beaches-no Rocks! Located in Las Conchas, this beach vacation home is 2.6 mi (4.2 km) from CEDO and within 9 mi (15 km) of El Malecon and Bonita Beach. Old Port and La Madre Square are also within 9 mi (15 km). How Much is a Hotel Room in Puerto Penasco? 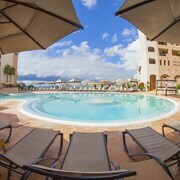 Hotels in Puerto Penasco start at $79 per night. Prices and availability subject to change. Additional terms may apply. Previous image, 7 total items. Next image, 7 total items. The seaside town of Puerto Penasco, Mexico is so close to the southern border of Arizona that it is referred to as Arizona's Beach. Located on the strip of land connecting Baja Mexico to the main land of Mexico, this little town – also called Rocky Point – is quickly becoming a tourist hot spot. 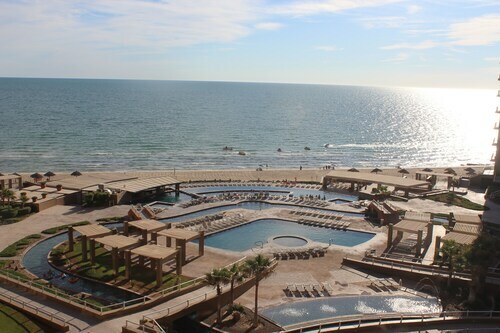 Booking into Puerto Penasco hotels puts you right on the desert beaches of the Gulf of Mexico. 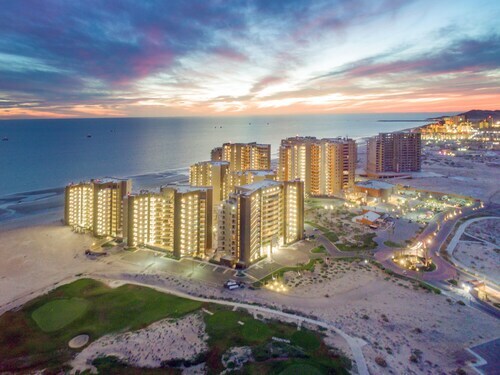 Many hotels in Puerto Penasco lie between the beach and Paseo De La Duna, the main road, giving you easy access to a premier golf course and the white sands of the beach. Do not be surprised when friendly beach vendors do your hair or sell you drinks right on the beach. When the heat drives you in search of cooler activities, go snorkeling at Bird Island and explore the local sea life. Kids will have fun discovering crabs, octopus, shrimp, and other tidal pool finds at Playa Hermosa Beach. Both CET-MAR Aquarium and the Center for Deserts & Oceans offer a look at sea life in the ocean's depths. 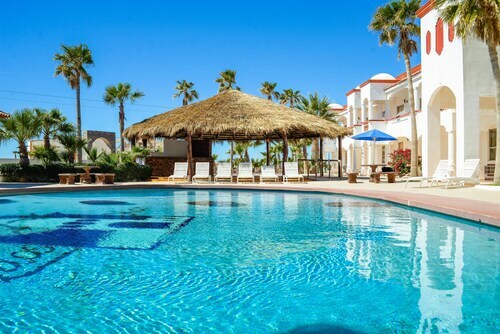 No need to worry about your vacation breaking the bank, just book one of the cheap hotels in Puerto Penasco. Save your money to dine in one of the five-star restaurants in the resorts section of Las Conchas or Las Palmas, on the northern coast. Here you can dine on fresh seafood, Italian, international, and traditional Mexican dishes. For lighter fare, head over to the Recinto Portuario district and order fish tacos and margaritas, or Horchata, a sweet rice drink. In the evening, relax with a cerveza on a roof-top deck overlooking the ocean. 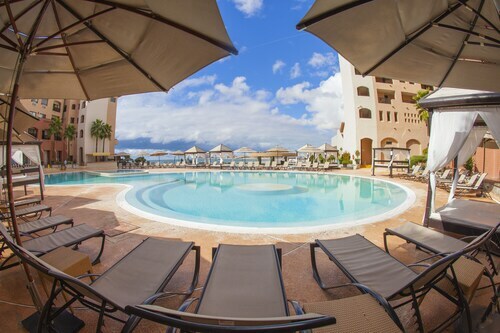 When looking at Puerto Penasco vacation packages, make sure you remember the Travelocity Price Guarantee: Travelocity will match any lower price you find and refund the difference. Spend some time in this quaint resort town for the Mexican vacation of a lifetime. Flights to Puerto Penasco will have you sipping margaritas and listening to mariachi music in no time. Super fun and very friendly we will definitely be going back. Very cute old timey property in fabulous location. Not a resort experience-no pool, spa or maid service, but funky and fun. Very clean with kichenettes in some rooms. Owner Diane is great! super restaurant recommendations. Nice outdoor spaces. Very small but a gem! Great room. Great views. If you need to eat order off of the room service menu, it has a lot more items than if you go to the restaurant. Service at pool bar was not good. Always friendly, clean and I always feel safe! They have a great qeekend buffet for cheap with all fresh fruit, veggies and ingredients, so yummy! I just extended my trip for one day checked out this morning and decided to stay so and came back and got me the same room with a great price! It was located right in town which was very convenient to pick up snacks and beverages for the room. The hosts were great, they helped me with directions to all the local restaurants nearby (you have to try Pollo Lucas) GREAT! They drew on a map how to get to the beach and even lent me an umbrella. 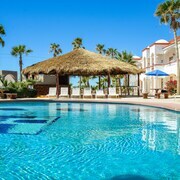 I’m definitely going back to Rocky point and this is where I’m staying again! 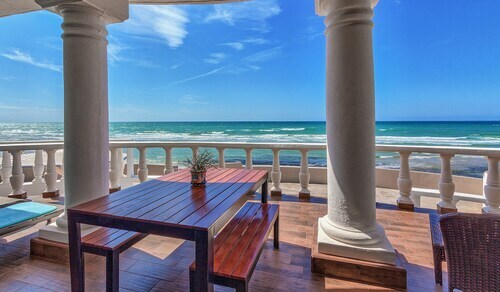 Sonoran Sea 7th Floor 1BR Oceanfront - Highest / Best View!